Final outfit for Hijabi Fashion Week 2011. When I'm out with friends I like to dress casual but be a creative at the same time, be it with the hijab style or jewellery or makeup. Mostly when I go out with friends, we go out to eat! We all love trying different food and aren't really fussy about what we eat (as long as it's halal/vegetarian). And of course, we manage to fit in some shopping before or after we eat! This is a standard going out with friends outfit (which can be dressed up if the occasion calls for it!). 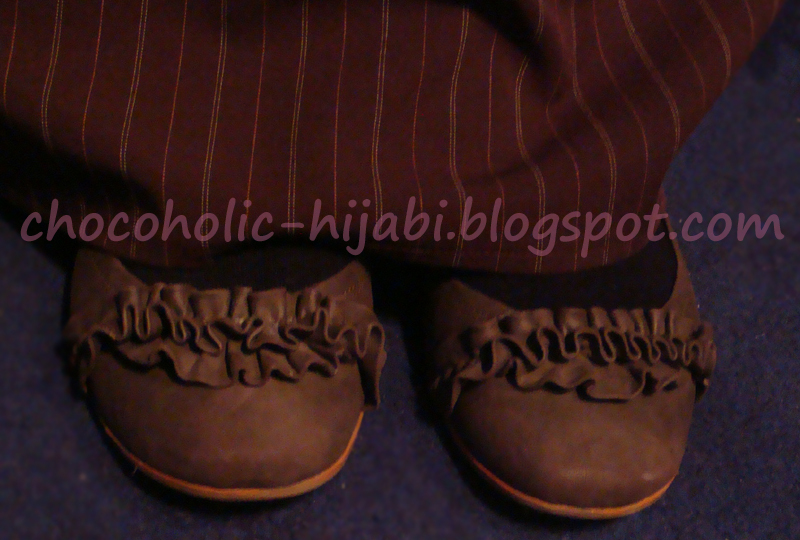 Brown is one of the few colours that I have plenty of in my wardrobe. It goes with pretty much anything and is a great alternative to black. 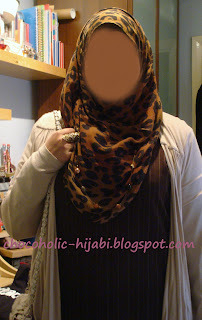 In this outfit I loike how the necklace isn't obvious but the beads stand out against the printed hijab. (psst! mixing patterns with stripes and leopard prints). LOVE the leopord scarf.. so my thing !